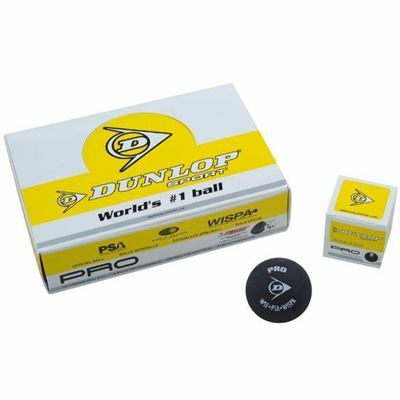 The Dunlop Pro squash balls are official balls of the World Squash Federation (WSF), Women's International Squash Players Association (WISPA) and Professional Squash Association (PSA). The Dunlop Pro squash balls are the only balls used in all international professional competitions. 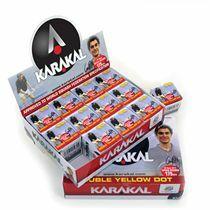 These double yellow dot balls are made from a durable high quality rubber compound that is unique to Dunlop and comprises of 12 special ingredients that produce the ultimate performance ball for tournament, club and professional players. 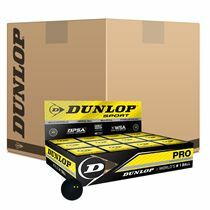 for submitting product review about Dunlop Pro Squash Balls 2013 - 1 dozen.